Guest post contributed and written by Jen Murtagh. Situated about five hours from Vancouver, Osoyoos is a small town with big charm. With their picturesque wineries, golf courses, dining options, bevy of festivals and water sports, they make lake life enviable. BBQ & Brews at Walnut Beach Resort offering some of the South Okanagan’s best brews, craft ciders and Cod Father’s signature seafood market. Even though there was no contest, our winners included Maverick’s crisp apple ciders, Firehall Brewery’s backdraft blonde and Jameson’s Irish Whiskey ginger cocktail. Deep Sea Garden Party at Watermark Beach Resort with a range of culinary delights and some of the best BC wineries. We especially loved The Hugging Tree’s viognier and rose! Glacier Bay Oysters from New Brunswick were available by the dozen for all Oyster lovers. Art of the Pearl Gala at Spirit Ridge Resort with incredible oyster creations by some of Osoyoos’ best chefs and an incredible array of more BC wines. 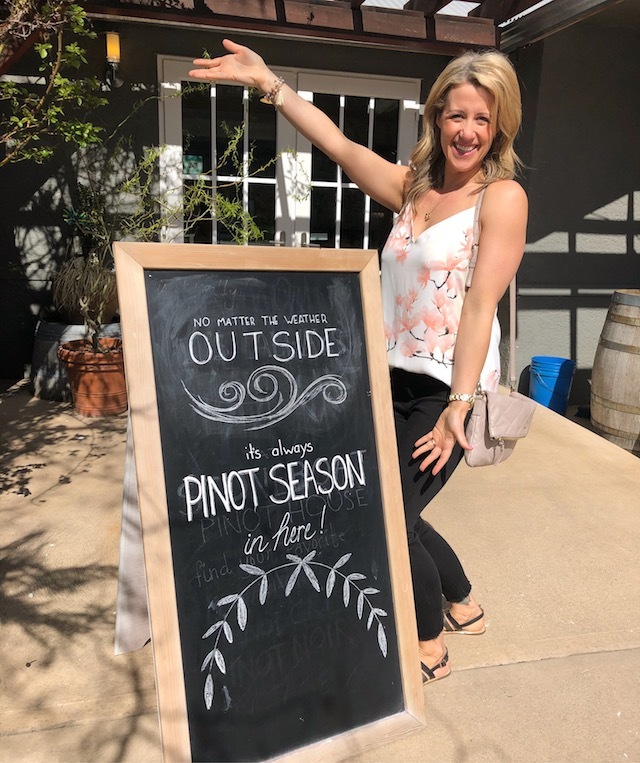 We had the opportunity to try some more boutique wineries including Checkmate Winery who are well-known for their Chardonnays and Merlots. The room was filled with pirates, jelly fish, pearls, and more as guests were encouraged to wear their best under water themed outfits. Since April is considered ‘shoulder season’ there are impressive deals, dinners and packages to be had through a range of properties catering to couples, families and girls wine weekends. 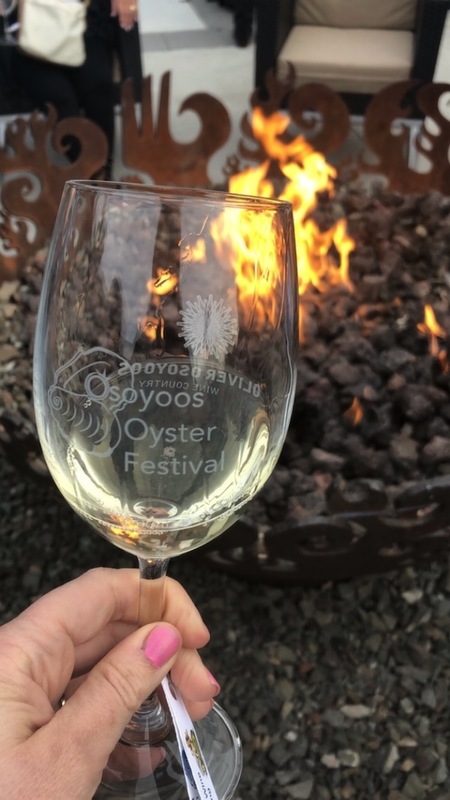 If you missed Oyster Fest 2018, be sure to set a reminder to check out the line-up for 2019 and while you are up there, plan some winery visits as Osoyoos (and next door neighbour Oliver), are home to over 35 beloved BC wineries. Some of my favourites are Nk’mip, Stoneboat, Burrowing Owl, Tinhorn Creek, Church & State and Moon Curser. Check out Destination Osoyoos and your favourite winery websites for a listing of special events, dinners, cooking classes, concert series and festivals over the coming months. Walnut Beach Resort is ideal for families and couples looking for a weekend or week away from the city! 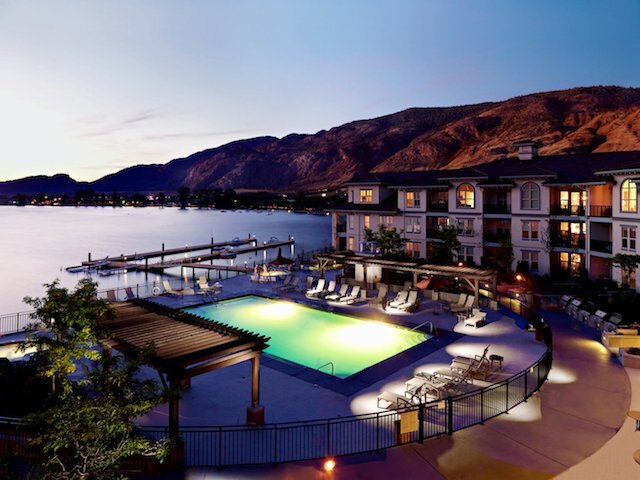 Situated beachfront on Lake Osoyoos, this beautifully maintained resort has a fantastic outdoor pool, hot tubs, outdoor BBQ area and suites with kitchenettes. Staff are incredibly friendly and it’s a short walk into main street Osoyoos. This annual event offers aunique Medieval experience that is ideal for families, with two fun-filled days of music, interactive entertainment and a variety of food options. On May 26, Osoyoos Lake Paddling Club is organizing a day of paddling on Osoyoos Lake, followed by an outdoor BBQ at WalnutBeach Resort. Admire hundreds of cars on display at Gyro Beach on the waterfront of Osoyoos Lake. A show’n shine, onsite beer garden, a wine tours poker run, and an extreme motorcycle show round out the weekend. The world’s largest culinary film festival, Devour!, returns to Osoyoos for its third consecutive year. Taking over the region for three delectable days, Devour! Osoyoos features a diverse mix of culinary events at restaurants and wineries. Held at the stunning Nk’Mip Cellars, named 2016-17 Canadian Winery of the Year at the InterVin International Wine Awards, and North America’s first Aboriginal owned and operated winery, this delectable evening of food and wine will celebrate the rich culture and heritage of Indigenous peoples. Get your tickets for this event on National Indigenous Peoples Day (June 21) to enjoy a multi-course dinner prepared by the country’s leading Indigenous chefs, along with wines paired by Justin Hall – proud member of the Osoyoos Indian Band and winemaker at Nk’Mip Cellars. This is a one-night-only event that is not to be missed. The 70th annual Cherry Fiesta, Osoyoos’ Canada Day celebration, kicks off with a pancake breakfast followed by a parade, children’s activities and entertainment.The festivities also include the biggest Canada Day fireworks display inWestern Canada, starting at 1O:00pm at Gyro Beach. Guest posts by Jen Murtagh, Chief Strategy Officer at BC Women’s Hospital + Health Centre Foundation. Founder NetworkinginVan. People philanthropist. Loud laugher. U2 Superfan. Dominator of boggle. Follow Jen on Twitter @JenU2.